Due to different display And the lighting effects, the actual color of the project may be slightly different from the color displayed on the image. Because of manual measurement, please allow measurement deviation of 1-3 cm. Washing separately, you can use hand washing and washing machine. Do not bleach or put in boiling water. Material: High quality soft elastic fabric. Helps relieve muscle and joint pain, stiffness and soreness. For outdoor activities such as basketball, football, volleyball, baseball, tennis, cycling, running, golfing, etc. PAIN RELIEF - Decompression and shock protection protects the body from knitting and knee health. Applicable to all sports activities involving a lot of pressure on the joints, such as: running, cycling, weightlifting, tennis, golf, basketball, football, etc. FAST RECVERY - You'll love this latest ergonomic design that can specifically boost your blood circulation, which will reduce your recovery time and reduce swelling, while keeping you on foot, jogging or lifting weights Comfortable gym, cycling or sleeping. 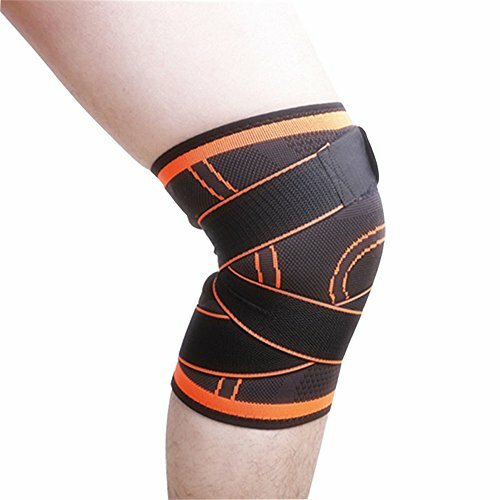 ADJUSTABLE - 360 degree motion protection, three-dimensional density weaving, distracting knee pressure, comfortable and breathable without binding. PERFORMANCE GUARANTEE - If the size you purchased is not suitable, please apply for a free replacement. We are very confident in the quality of the knee brace and we offer a lifetime money back guarantee. If you have any questions, please feel free to contact us. We will get back to you within 24 hours. View More In Stems & Forks. If you have any questions about this product by LBang, contact us by completing and submitting the form below. If you are looking for a specif part number, please include it with your message. Lucky SILO Bar Blue, 26" x 24"
© 2019 - 2muchfunforfree.com. All Rights Reserved.